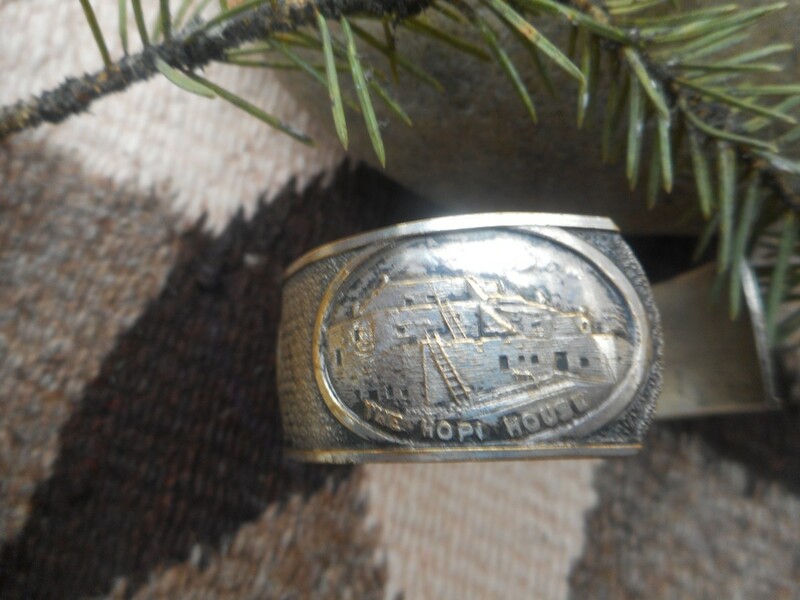 Wonderful sterling over nickel Grand Canyon National Park bracelet, with scenes of the Hopi House, the Watch Tower, and the vista of the Canyon. 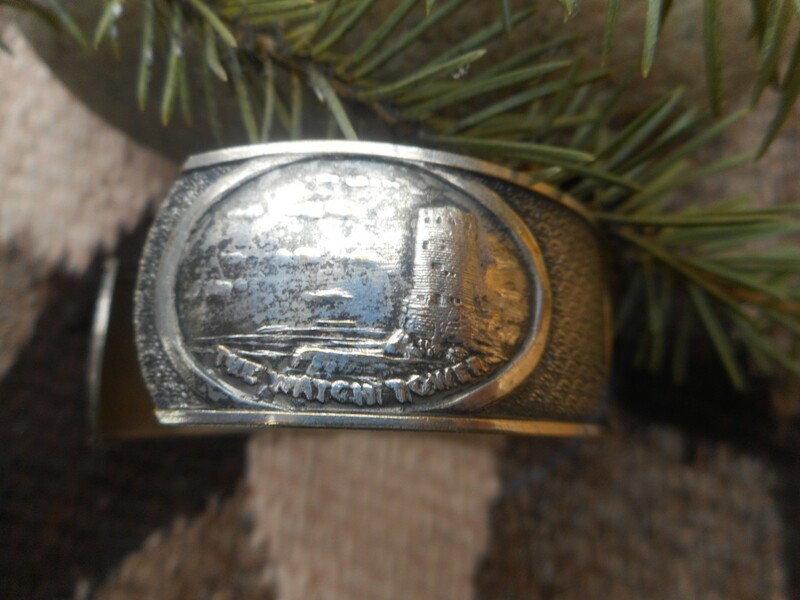 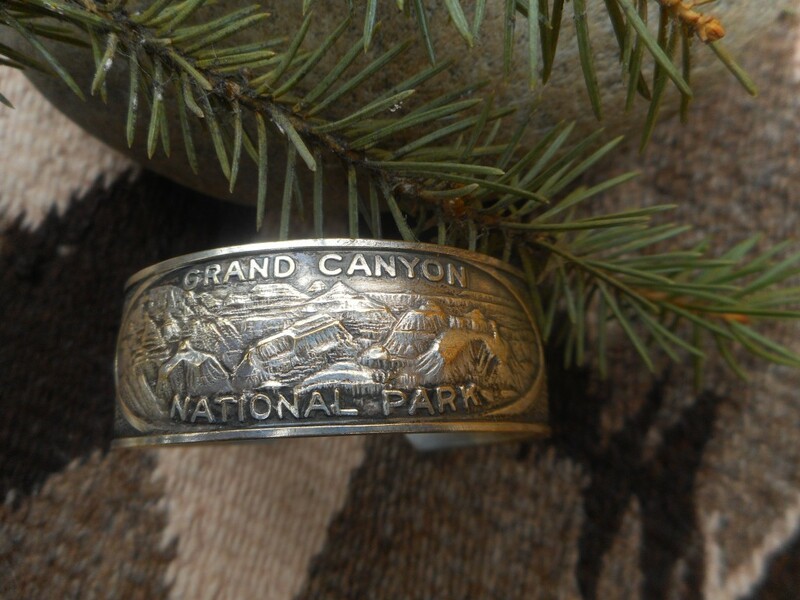 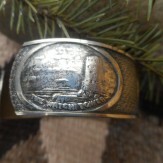 Fabulous vintage National Park bracelet! 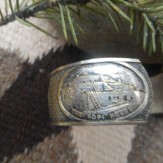 Measures 6 inches from terminal to terminal with a 3/4 inch gap.